Testing APIs with JMeter | Tech. As test engineers, we can use JMeter to script tests against API's, chain them so they actually resemble a real request, even make assertions against responses. Scriptable Samplers (JSR223-compatible languages like Groovy and BeanShell) S* everal load statistics may be chosen with pluggable timers. Please make sure to have the latest version of Firefox downloaded. If preferred, locally download Charles. This tool, alongside JMeter, is an equally powerful tool that tells you what exactly is going on. It can even be used to sniff iOS and Android http/https requests, let alone API’s. As soon as you open Charles and play around outside the app, you’ll notice data being collected in the left-tab. Every HTTP/HTTPS request being made is monitored. So if you’re confused about a call and how it should look in JMeter, when a similar tool is running, you can use this to parse all data collected. Go to Apache and download the latest binaries. Install and unzip. Then go to: /bin/ApacheJMeter.jar and open the file. You’ll need Java. You should see a bunch of files downloading. Go through the above steps and start ApacheJMeter. Change HTTP Proxy to “localhost:8080” or something not used, note the port being used. On HTTP Proxy Server, click the Add button in “URL Patterns to Include”. This will create a blank entry. Enter “html”. Click the Add button in URL Patterns to Exclude 3 times. This will create 3 blank entries. After that enter “.png” pattern, “.gif” pattern and “.ico” pattern. In the HTTP Proxy Server, you should see a Start button on bottom, press it. In FireFox, go to any website of your choice. Notice the left-pane, similar to Charles.app, JMeter now records all HTTP Requests and all assets being requested. Alongside with paths, JMeter is also recording Headers sent from your machine. In API’s we need to give inputs, there is a way in JMeter to provide inputs from csv file. 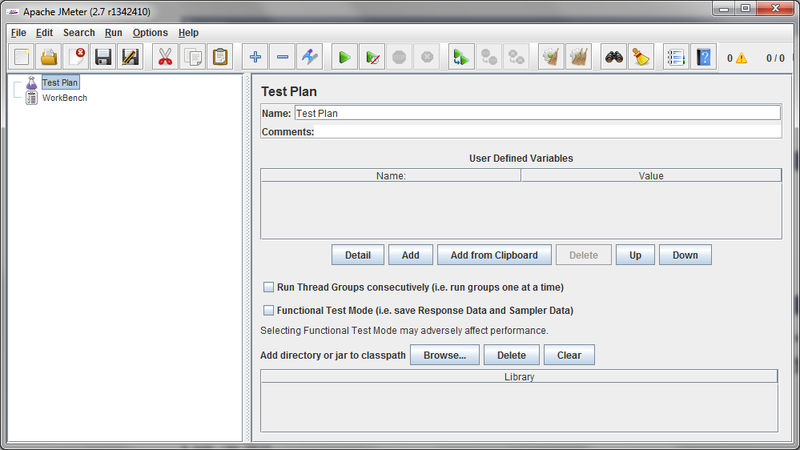 You can create csv file of your inputs and provide this file to JMeter. JMeter will read your csv file line by line and provide this data to your http request. So how to provide inputs from csv file, it’s pretty simple. Create your csv file, I have created logindetails.csv file. Now right click on thread group and go to Add –> Config Element –> CSV data set Config.